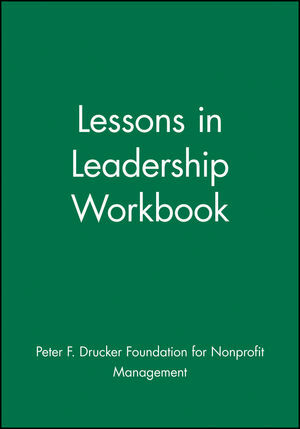 Lessons in Leadership," featuring Peter F. Drucker, helps both board and staff explore leadership attributes and think about ways to strengthen leadership skills. Identifying the Needs of Followers," featuring Max De Pree and Michele Hunt, helps leaders--new and experienced--understand their relationships with followers and what their followers need to achieve top performance. Leading Through Mission," featuring Frances Hesselbein, reveals the importance of revisiting the organization's mission and offers insight on how to better manage for the mission. It shows you how to use one, two, or all three of the modules to guide a learning and discussion program for the leaders in your organization or community. Along with the participants' workbook, the facilitator's guide contains all the materials you need to get the most out of the video presentations and to extract the key learnings. Each module can be tailored to fit your group's needs, size, and the time available. 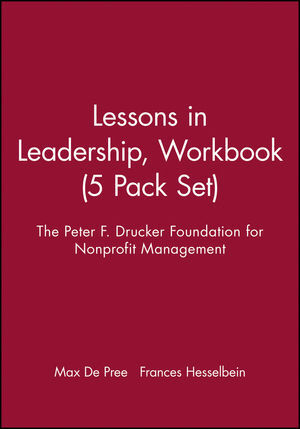 PETER F. DRUCKER has been a teacher, writer, and adviser to senior executives for more than 50 years. Author of 29 books, he is Clarke Professor of Social Sciences at Claremont Graduate University in Claremont, California. His best-selling books address management and society.